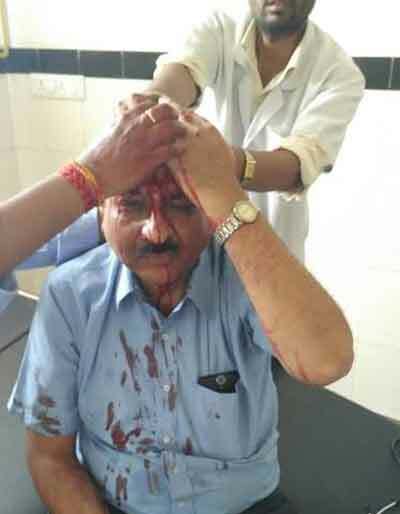 Jaipur: Dr Ajay Bansal, a Senior Doctor and owner of a private nursing home called Bansal Hospital at Imli wala phatak, Jaipur was brutally assaulted yesterday after a patient died here yesterday. The case was of a patient, Ratan Lal Saini, who came to the hospital with complaints of chest pain and cardiac issues. The patient had a cardiac arrest at the hospital and died at the hospital. Angry at the patient’s demise, one of the attendants took the BP instrument and began hitting the doctor repeatedly. An angry mob of attendants protested outside the hospital alleging negligence and carelessness on the part of the doctor and also blocked the road at Imli Phatak. Police rushed to the spot and took control of the situation. 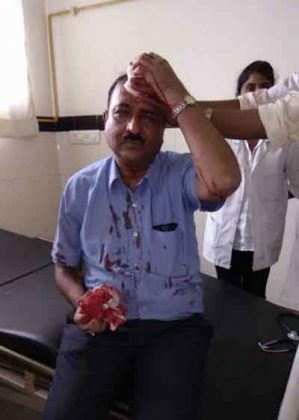 Meanwhile, the doctor, who suffered head trauma and other injuries was rushed to SMS Hospital, where he is undergoing treatment for injuries. A local daily reported that more than 400 doctors gathered at SMS Hospital trauma centre as the news of attack on Ajay Bansal spread. 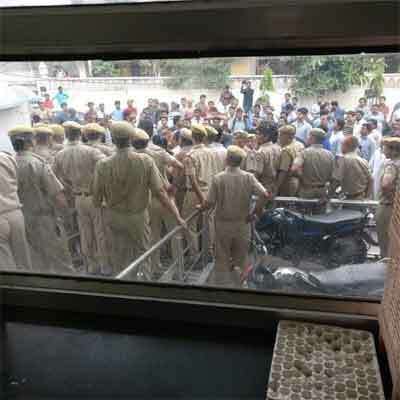 Following the incident, Various organisations including Private Hospital and Nursing Home Society, Jaipur Medical Association and Medical Practitioners Society called for a bandh till noon on Saturday. No attendant would want to harm that doctor who treats their patient…. In this case it seems treating doc surely must have been negligent and arrogant even after causing death to innocent patient… There is always two sides of coin… doctors are not pure from sin by default… Every time patients only are not guilty. You have arrived at this conclusion ONLY on the basis of the fact that the doctor was assaulted! Congrats, there is now no need to have Police & Courts in cases of Doctors being assaulted by the Public. peoples are loosing there humanity, and expect that doctor should work for humanity. there is already scarcity of health services and doctors, but people are cutting the same tree on which they are sitting. a very worst condition is coming for health services…..
Critical situation for medical fraternity to practise now a days. We dont know when govt/law will take firm decision on this issue of assault on doctors/hospitals. Strictest punishment required for the criminals. Where is this country headed if goons like this rule the streets?